Sorry for too late reply because of RAMADAN & after that i was busy in an Audit. The best season to do the above trip is from June to September but listen carefully from July the rainy season starts in these areas so if you come to know about closing of KKH before starting the trip so you may have to re-think of your trip or an alternate plan/trip must be ready to consume your holidays. 1)How many stages was the total journey? 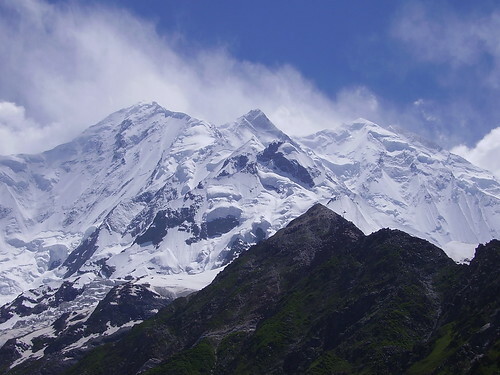 include details if only rakaposhi bc or if only diran bc? 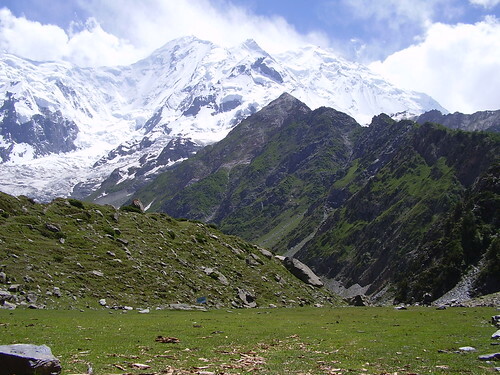 Stage # 2: HAPAKUN to TAGAPHARI (2 ~ 3 Hours, 3km, 457m ascent)Basically TAGHAPHARI is the Base Camp of Rakaposhi. 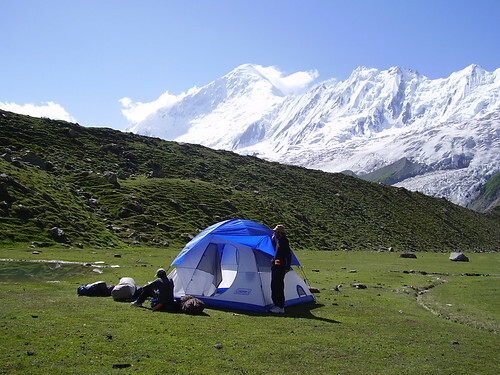 Visiting KACHELI Lake as a day hike from TAGAPHARI is a more strenuous, but less expansive option than camping at KACHELI and paying porters for two additional stages (one there, one back). 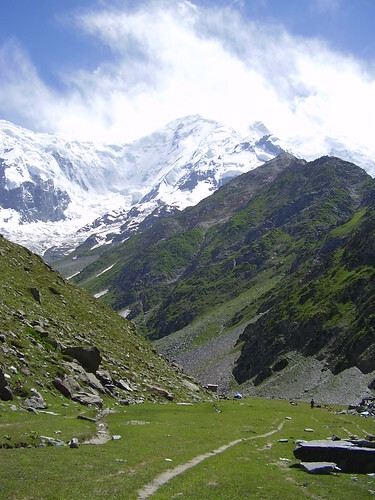 From TAGAPHARI, follow the crest of the lateral moraine south 20 to 30 minutes to the small cairn (3510m) marking the route onto the glacier. 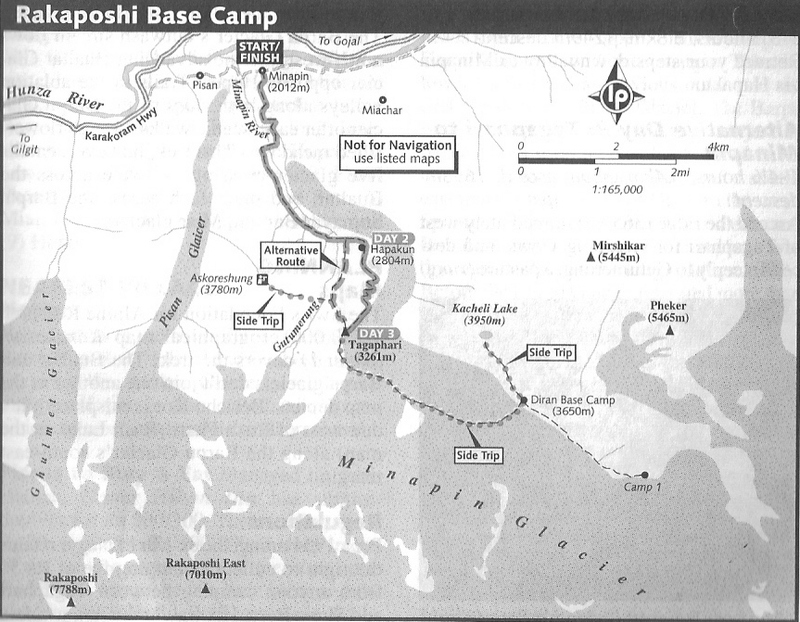 It takes three hours to cross the broad MINAPIN Glacier and reach DIRAN Base Camp (3650m). The unmarked route north â€“ east across the glacierâ€™s alternating bands of rock and ice near many Seracs is difficult to follow and changeable, so take a local guide or porter who knows the way. Carry a rope for safety. Watch marginal crevasses when existing the glacier. 2) How much did your porters charge per stage? 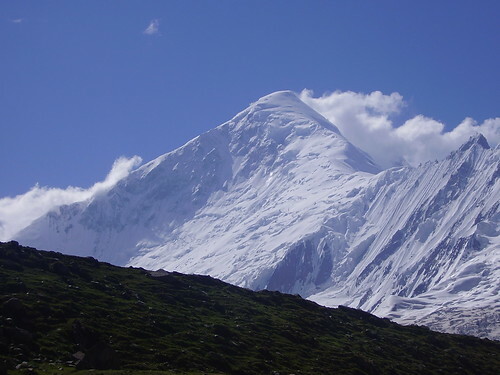 At Mainapin there is DIRAN GUEST HOUSE they will help you in hiring a Guide + Porters for your luggage handling but please do bargaining and finalize everything & by the way in 2008 i gave Rs.300 Per Stage with Ration per porter. 3) Why didnâ€™t you start the trek from hoper? 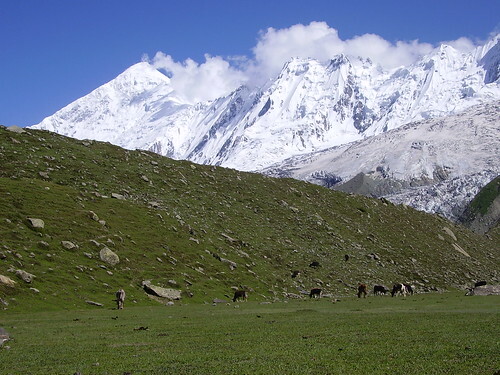 Yes you can go from Hoper but Minapin is near from Gilgit & for Hoper 1st you have to go to Aliabad then Nagyr & then Hoper so transportation will increase and then tour’s cost will also increase & from Hoper you have to cross the glaciers & crevasses so the porters charges will also increase. Wish you a Safe & Happy journey & waiting your reply that how was your Journey ?